Reach: Page views, followers, likes and subscribers on social media. Actions: Likes, shares and retweets. Level of interaction: Engagement (comments). 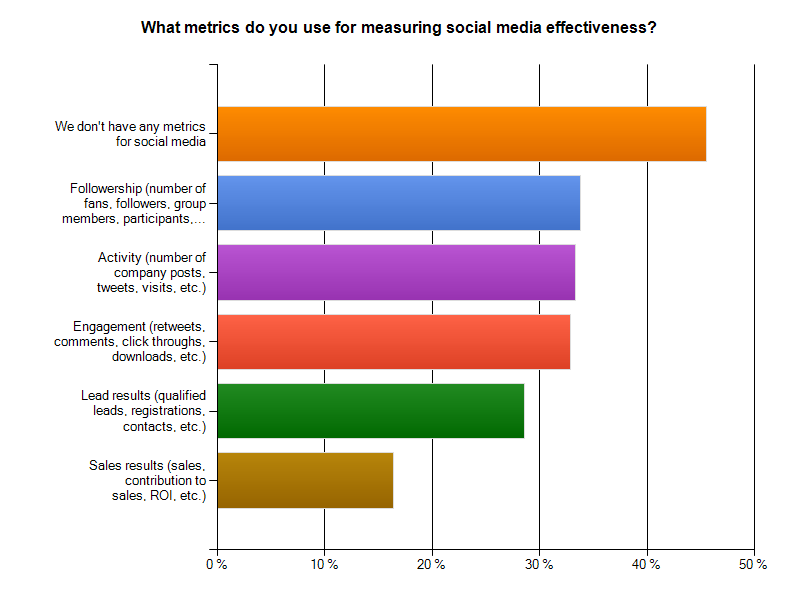 It is important to consider the platforms that you are using and measure the relevant information. For example, how many people come to your website through a social media channel like Twitter or Facebook? This can be seen using Google Analytics. Measure of influence is another important piece of information that you can obtain through measurement: Who is the person that drives the most attention? whose posts are shared or liked the most? These are people who know about a certain topic, and share relevant information, they don’t waste time with irrelevant posts or messages. Tip: Search for these people on Linkedin and find out more about their industry. Measuring engagement is possible, it is easy enough knowing how many likes, shares, retweets and replies a business profile or page gets, but it is also easy to see how many new likes or follows businesses gain. Facebook insights allow you to view these easily, for Twitter there are other available tools (7 top tools to measure performance and influence on Twitter). Another way to find out how much influence a person has on Twitter would be by the obvious, the amount of followers they have but also in how many lists they have been added to by others (this last one is not the best metric because not everybody uses Twitter Lists). 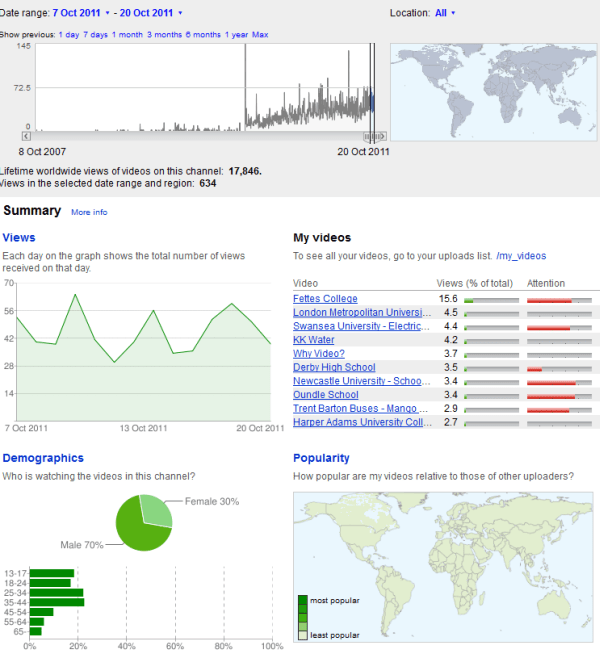 These sort of insights are also available through Youtube Insights Tool. Posted on December 17, 2012, in Social Media, Social Media Measurement and tagged Digital Marketing, Digital Project Management, Digital Project Manager, measurement, WEEK 12. Bookmark the permalink. Leave a comment.